We live in a world where numbers form a majority. How much ever an individual tries to be different, he or she often encounters majority, be it in the form of opinions, values or the way things need to be handled and the best of all is, the way to lead one’s life. Wish it was as simple as to follow a book of code written by one individual. The point is not to berate or deride the opinions made by the person who shared his views on leading life; the mistake is to believe that is the only way to lead a life. Holiday epitomises such kind of mood through various protagonists who dare to question the status quo. Johnny Case (Cary Grant) a charming young business man who goes by his inner voice. One can see in the way he goes about his life and the view he holds for his life. 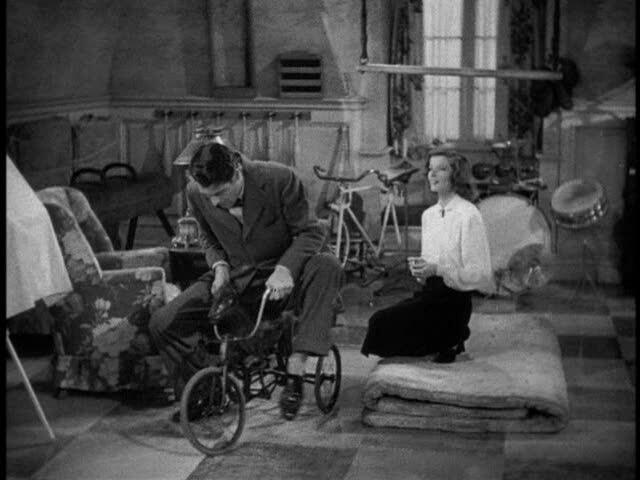 He is in love with Julia Seton (Doris Nolan) and proposes her to marry him. She agrees. How often we marry the person we love and also say we share each other’s vision for life? Are we complacent that we can cajole the other partner to make them to come terms with our expectations? Well to make love, it isn’t. To marry, it becomes the talking point. The free spirit that often embodies the lovers is majorly narrowed when the talk of marriage do the rounds. What is it that marriage continues to hold a different view? Marriage involves society to a larger extent and this has continued through ages and will continue. One can fall in love and that's acceptable but can we marry the same in all situations ? Often society comes to picture and in the larger interest I believe it's a form of excuse unless it is a belief of the individual. Johnny is surprised to know the wealthy status of Julia. 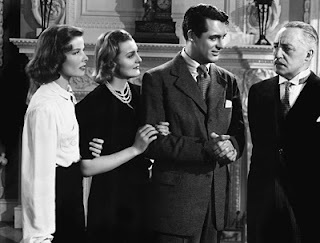 He meets Linda (Katherine Hepburn), Julia’s free spirited sister and Ned (Lew Ayres) who both feel bottled up under their father’s authoritarian behaviour. The movie has a kid’s playroom which is analogous and quite a contrast to the outer world which calls for increased sophistication and hypocrisy. Linda is in love with Johnny as she finds him to be the right guy who would respect and also complement her free spiritedness. Although Johnny is in love with Julia, he can’t deny the fact that he is intellectually connected to Linda. Irrespective of her being rich, he is keen holding on to his dreams. Julia on the other hand is convinced about Johnny accepting her dad’s proposal of working and earning money. Johnny while asking the hand of Julia speaks his heart to her dad, which surprises Julia. The idea of Johnny working for few years and then taking a holiday to discover his life doesn't fit the bill of pragmatism as per Julia and her dad. 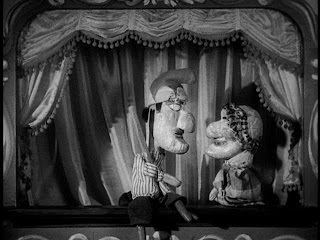 Although he couldn't convince Julia; Johnny with his straight mind convinced Linda without having to actually convince her. The movie isn’t a serious one, it has well written dialogues and is more of a romantic comical drama. The child playroom is often seen as a metaphor to allow the kid in us to be in healthy state even while we are growing each day. Directed by George Cukor, this movie brings out the best of Katherine Hepburn and Cary Grant and the chemistry they share on screen is something that's been talked by many over the years. The storyline isn’t out of the box, but a simple reflection on the society we live in. The playroom scenes of tricycles, puppets and other horse saddling reminds us, each individual has a child which is fearless inside us and loves to enjoy irrespective of what other think in its own fashion. 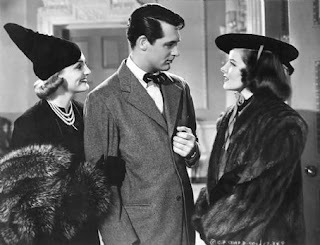 This certainly is one among my favourite Cary Grant movies. 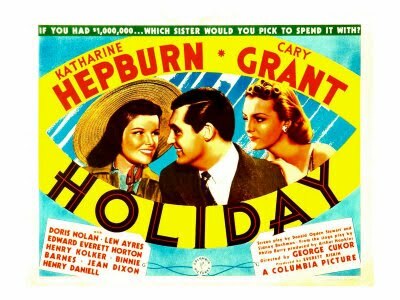 Released in 1938, Holiday is a remake of the 1930 movie of the same title. 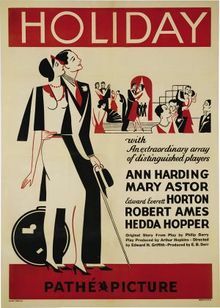 With the affluent sets being used, Holiday managed to get a Oscar nomination under the category of Best Art direction.